With just 3 weeks left until my bikini contest, I’m finally feeling confident that I’ll be able to hold my own on stage. This is such a big relief! It just goes to show that over time, with the right diet and exercise, how much you can change your body. Of course, I’d love to win, but in reality, just changing my physique to this degree and making it to the contest without chickening out is a big win in my book! And eating clean for so long is a big deal. I’m a girl who LOVES her sweets! Chocolate, ice cream, ice-tall 2-pump mocha from Starbucks, cheesecake, chocolate chip cookies . . . I digress. I was thrilled to learn I got to have a specific cheat meal on Saturday night at a restaurant! I haven’t had a true “date night” in a very long time, so this was good news. Even though there was no alcohol involved. The meal I was allowed to have was steak (no oil and no butter) I ordered a 6 oz filet, plain baked potato, and dessert (I got the molton chocolate cake) and it was awesome. But, I was so uncomfortably full after my meal for about two hours that my stomach hurt. I sent pictures to my trainer on Saturday afternoon before the meal and again on Sunday morning, but we didn’t notice much change. These pictures are from Saturday- exactly 3 weeks out from my contest. My stomach is coming down and tightening up and my legs and arms have more definition. Even though there was no discernible difference between before and after the cheat meal, I do notice HUGE changes from when I started this journey to now. If you’ve been following along, you know I started focusing on getting in shape in February and began by working out on my own and eating better. At that time, I measured time by how long I’d been working out so ‘Week 1’ was my first week back in the gym and ‘Week 3’ was 3 weeks later. Now, I’m counting backwards from my contest date, so ‘3 Weeks Out’ means I have 3 weeks until my contest. I’ve been at this for about 6 months now and been working with my trainer since April. I’ve been on a strict meal plan for about 9 weeks. I registered for the contest this weekend. I will be competing in the BIKINI division in two categories: 1) Novice (for first-timers or anyone who has competed previously, but not won), and 2) Masters (over age 35) – I’m 39. My bikini has been ordered, but I still need to go for my final fitting. I have my heels. The pic below is just a sample suit. My stage suit will be aqua with different connectors and aqua-colored beading. I tried on this black top (a size ‘C’ because the ‘D’ was too much fabric). I need to figure out if I’m doing my own hair and makeup or hiring someone. The contest has a hair and makeup person I need to check out. I also need to make sure I’m signed up to receive my spray tan before the show. I am going to a tanning bed about once a week to get a base tan. *Update: Thank you for smacking some sense into me! I read the comments below and realized what a bad idea going to a tanning bed is, so no more. Thank you again for all of your positive comments and support! It really encourages me! If you have any questions, please leave a comment. I will answer in the comments and also use your comments in future blog posts so I can expand and answer in more detail. I do have an “after contest” plan to share with you soon too! Good luck! It's been fun to follow your progress. I don't think you ever really know until you get onstage….I've been reviewing the different types of contests (bikini, fitness, figure, physique) and it can be difficult to tell what they are looking for. For bikini, having good muscle tone and being lean is really important. I've also been reading about the height classes, some have multiple height classes and some have fewer…I think it depends on how many women show up. Ditto for the master's, sometimes only a handful show up and then you have a better chance of winning; you just never know. Just keep following the plan and you'll get there. You've done your best and you've put it all out there and that's all you can really do. Just stepping onstage will be good. It will be fun. And not a lot of people can say they did it, so be glad you did. For hair and makeup, I think you can do your own. What you might want to do ahead of time is to pay for a makeup consultation and let someone do your "stage" makeup ahead of time and take some pictures under some bright stage lights. That way, you can see how it looks. Stage makeup is just more intense than regular makeup…if you just do your regular makeup, it won't show up as good, that's all. Stage makeup will look overdone in regular lighting and good onstage under the lights. As for hair, you can do your own. Just my opinion of course. I've been following along this whole time and haven't said much. But my stomach did the flip flop thing, like when one of your kids gets hurt, when I read the part about the tanning bed. Girl, I'm gonna say it like I'm talkin' to one of my close friends…..Stay the hell outta that thing!!! That makes me worry! I know you are right Mindy. Thanks for taking the time to write. I should just stick with the self-tanner to be safe. I have been eating tilapia that are individually wrapped after reading your post about eating fish. It's actually good for breakfast and I've lost three lbs. in a week! Way to go Nancy! 3 pounds in a week is awesome! Hi Kate! Thanks for writing! I am a little nervous about after the competition is over- I really like being at about 104 pounds (feels good on my frame and I'm short/petite), so that's where I'm going to try to stay. Now that I've worked so hard to get here, I know what I need to do to keep it up. It's really easy to pack on the pounds without really trying. I have to always be mindful about what I'm eating and continue to workout. I will keep you posted and let you know how I'm doing. I've followed along here forever…I just rarely comment. I have to say that I knew NOTHING about a bikini contest prior to reading here. I really thought, "How much can she change?" You were tiny to begin with and I really didn't think there would be much difference, but HOLY COW. You looked great before but you are SO much more toned now. It's unbelievable! Awesome job with the hard work! I think the clean eating for so long would be the hardest part to me. Props to you! Can't wait to see how you do!!! Just like you ease into an exercise routine, you will need to ease back into eating more things. It can take your stomach a bit to adjust back to things, especially if they are processed. Sometimes they don't adjust back. Why those who try going on a gf diet only to return to eating foods full of them often end up with stomach problems. Your body adjusts, just like it does to workouts. If you find you are having tummy troubles once easing back into more foods, you might want to talk with your doctor about potentially taking a digestive enzyme prior to meals to help with digestion. They alone made a huge difference for me, until my body adjusted to being gf and I learned what I could and could not eat. If you want to maintain a "clean" diet, look into Paleo. However, it has it limitations as well. The key is to eat heathly, more natural, but a treat ever now and then is okay too. I think so many have difficulty with "diets" because they are so restrictive. It should be a way of life, not a struggle every day. Just changing my diet alone, along with finding out about my thyroid and gluten issue…has made all the difference and I am 18 pounds lighter than I was last August. Still have a bit to go, but I am happy and healthy for the first time in years. I am not a scale watcher. I have been following you for a while now on both your blogs since I just started my own (still a beginner here) and you have been very inspiring, both with your fitness and your sense of style for the home. I too gained 50 lbs for both my pregnancies and coming back down from the second has been the hardest!!!! So far this year I have lost 16 lbs and I hope to lose about 10 more. I keep looking at your posts and think if she can do it, so can I! Of course, I am not doing contest, but your dedication sure helps!!!! Keep up the good work and thanks for sharing your journey with us!!!!! So proud of you, Megan, you look incredible — my fitspiration! Very impressed girl! You look fabulous, I know it is so much work and it is paying off!!! You look great! Thanks to your inspiration, I am currently on my 5th week of Insanity! Amazing body! I have been following your blogs a long time ago, but not commented at all. But today I can´t let do not d it because Im really impressed. Your are such a great inspired woman. Im not gonna do any contest, but your dedicationg inspires me and Im training five days a week and swimming one hour on saturdays. Im very shy about before and afters (not so much 'after' anyways) but my body had started to change, even when my diet remains the same. Thanks for saring your awesome journey… and good luck! You should post some more recipes! I'm tying to eat healthier in hopes that I can lose some weight. Googling has some, but it's hard to know what works and what doesn't. You look great and hopefully one day I can resist all the sweets that come my way and look that great! I've been following your progress and I'm very impressed with your dedication and results but there is nothing healthy about tanning beds. Please don't give in to the pressure. It's not worth the risk. If you're going to be topping up your colour with fake tan anyway then I especially don't see why you would do beds. I don't mean to sound preachy. I just think they should be banned, as do most doctors I know! Rant over. Best of luck in your competition. Incredible ….. You look fantastic. Best of luck!!! So proud of you!! You look unbelievable! And I can't believe the difference just a few weeks have made. You give me motivation! I'm happy I just stubbled onto your blog! I'm exactly 3 weeks and 2 days out from my first show. I have a lot of catching up to do on your progress. 🙂 I really haven't publically documented any of mine but I'm happy to say I started off at 29% BF and I'm currently at 12%. I still have work to do and need to really buckle down. I can't wait to step on stage. 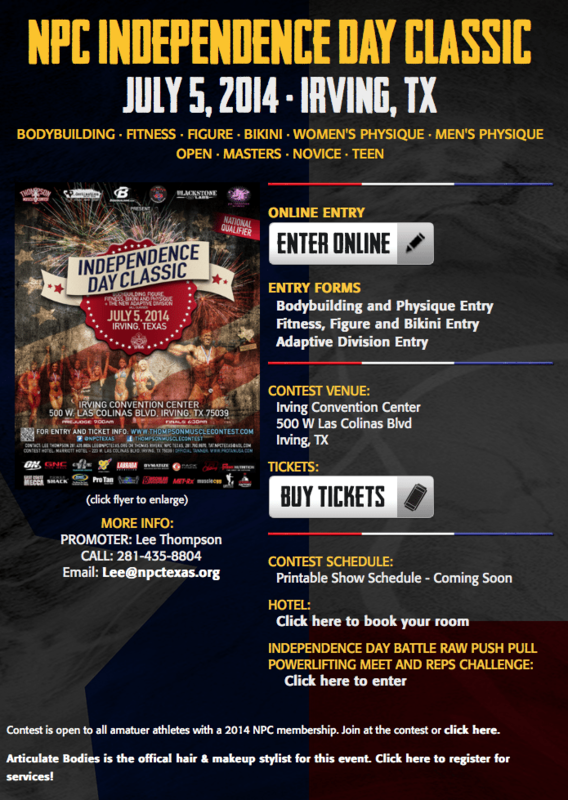 I'll be at the Denver WBFF July 18th. Eek!! Good luke with your show! Can't wait to see how you do.